Diabetes mellitus is probably the most highly publicized source of cataracts that form due to disease. People with higher-than-normal blood-sugar levels, even if they are not diabetic, are also at risk for cataracts. 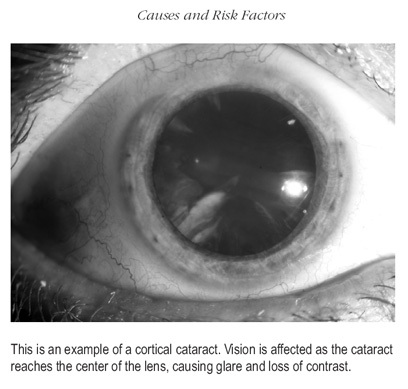 There are dozens of other illnesses that can lead to cataract formation, including hypertension and thyroid disorders.